In November we published our Business Strategy. It laid out our goals and objectives from now until 2022. Over the last few months, we've been busy setting up a new digital programme to help achieve those goals. The aim is simple: we’re going to use digital ways of working to help us become the world’s leading land registry for speed, simplicity and an open approach to data. Modernisation at HM Land Registry isn’t a new idea - it’s been underway for some years now and we are already a long way down the path of moving from paper-based to computer-based systems. The Digital Programme will help expand that work, support the teams who do it, and begin a portfolio of new work too. My job as programme director is to get things set up and create the right environment for skilled teams to deliver. 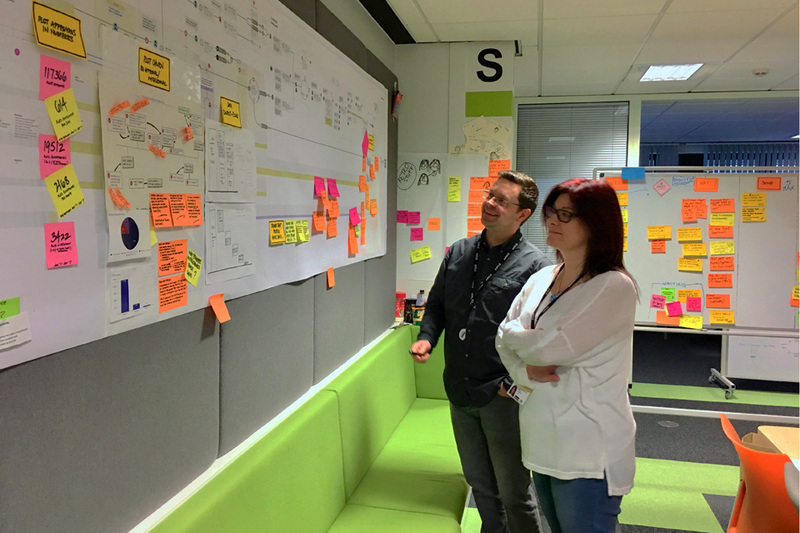 My previous experience at the Government Digital Service (GDS), Driver and Vehicle Licensing Agency (DVLA) and Ordnance Survey taught me that good delivery happens when you set up small multidisciplinary teams and help them deliver. That's what I intend to do. grow sustainable in-house specialist digital skills and ways of working - so that we can be self-sufficient as we continue to adapt and change in future. As part of the programme, our Digital Street research and development project will continue to explore the future of land registration, helping the rest of the organisation understand and prepare for different ways technology could change what we do (and what our customers and users expect of us) in the years ahead. In delivering our work we’re taking the same approach pioneered by the GDS and many other departmental teams that have followed its lead in recent years. The approach starts, as I said before, with users. “Digital ways of working” means putting user needs first, starting small and iterating services based on user research and feedback. Putting users first is important no matter who they are - whether they’re our own caseworkers, conveyancers, or members of the public. 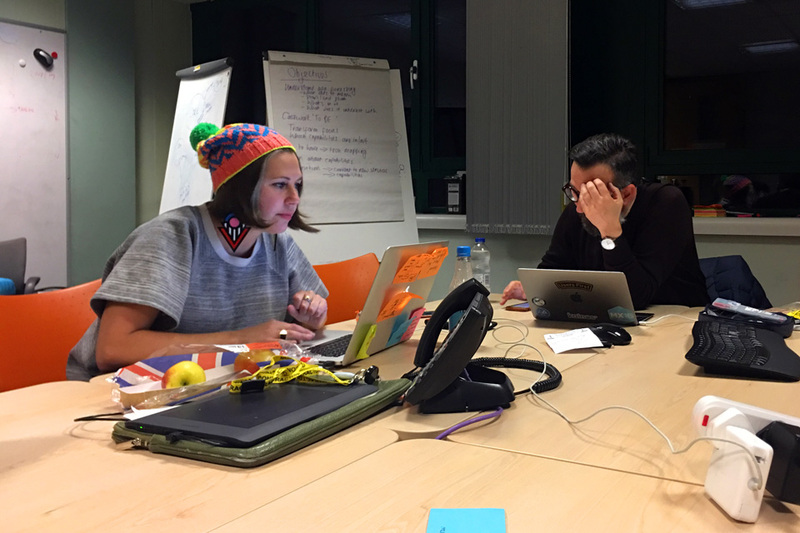 In each and every case, our delivery teams will be making sure they involve appropriate users in user research. The more often that happens, over a series of short iterations, the more confident the teams can be that whatever they’re doing is meeting the needs of those users. Being agile allows us the flexibility to respond to what we learn from research (which isn’t always what we expect). 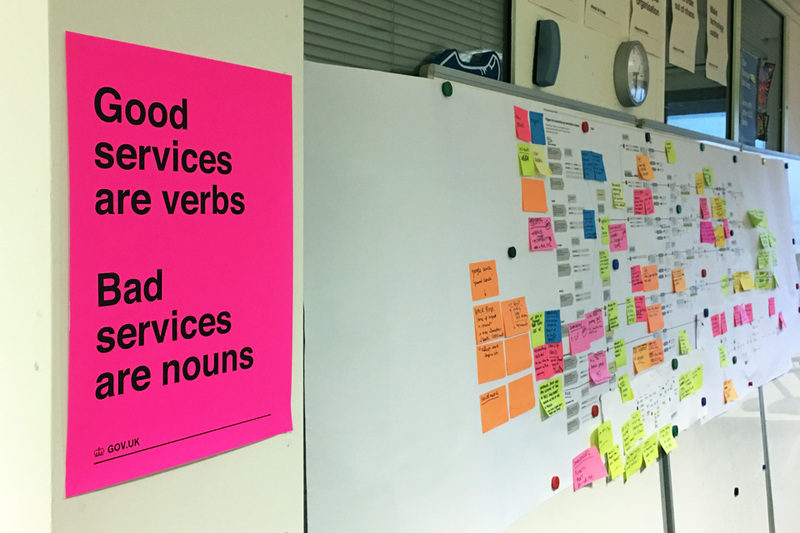 Starting with user needs, iterating our work, and being agile are all requirements of the Digital Service Standard (soon to be iterated as the Government Service Standard), a list of 18 criteria designed to help government create and run good services. If we’re meeting the standard, we know we’re doing things right. The past few months have been mostly getting things set up. Over the coming months, and for the next year, the focus will shift: we’ll start spinning up multiple teams to tackle a long list of discoveries and alphas. There’s a great deal of work to do, and we’ll keep you updated about it here. If you have questions, feel free to post them below. If it helps the Land Registry to adopt a clear CONSISTENT approach in dealing with applications it is to be welcomed. Consistency is something that is sadly lacking and is I suspect not helping the backlog that the Registry is currently encountering. I totally agree with Mike Grahams comments I register several properties in the same development and get a variety of requisitions on some matters and nothing on others but the information I provide is identical on all. This causes issues with my clients and their registrations. Not only the time I have to keep chasing for updates. After my recent searches I was SHOCKED to find shoddy incomplete plans on file and missing information for properties and land. Accurate scanning of details and plans are paramount in your digital challenge! You need to do better to reach your goal!!! I am sorry to hear of your poor experience. We have over 100 million scanned registration documents in our archive, many of which were formerly held in paper format. Our scanning operation has always been more unusual than standard, with a wide variety of document types to scan. High-spec equipment and trained staff are used and quality standards are paramount. We do accept that with an archive of this size errors inevitably occur in our retention and scanning procedures. It should be borne in mind that in most cases, we will have retained a copy of the document rather than the original. More commonly, issues arise surrounding the variable quality of the source document. Copies certified as a true copy by conveyancers who made the registration application may be incomplete, consist of a draft of the document which was not made up to accord with the original, or have been prepared using copying technology which has not stood the test of time. Errors made on our part represent a small proportion of our total scanning and retention commitment. However, we are not complacent and we fully recognise the impact that these mistakes have on customers. It is also in our interest to do all we can to be as accurate as possible given the adverse affect these mistakes have on the integrity of our retention and scanning procedures and our overall reputation. We will ensure that your feedback is considered by those developing our digital services. "Unfortunately, I am unable to expedite your application at this time. Expedite Status implies that HM Land Registry will start your application in 5-10 working days. As applications of this nature have an average turnaround time of less than this, expediting would not speed completion. If only my clients would be happy with that level of expedited service or indeed hold on to the phone after being told they were the fifth person in the queue! Perhaps it is symptomatic that the writer of the piece (who does not come from a Land Registry background) talks of "users" not clients or even customers! Nigel - I am sorry to hear you feel you have had a poor experience. We have put in place protocols for considering expedite requests in the interests of fairness to all our customers. The number of cases that require expedition are relatively small compared to the total number of applications we process, but we do receive a significant number of requests. We consider each request on merit and require the appropriate supporting evidence to ensure that the genuine cases are identified and prioritised as quickly as possible. This also ensures that we only prioritise and focus on those genuine cases that meet our criteria. As you will be aware, we do operate a centralised system for handling calls and although waiting times may be longer at busy times, most calls are answered promptly. The team handling calls is a virtual one operating from more than one geographical location. The waiting time in a queue does not necessarily indicate a significant delay given the number of staff on hand to answer calls at those locations. Having a dedicated centralised call handling facility with appropriately trained staff allows us to manage our resources more effectively and frees up our caseworkers to concentrate on processing applications which is what customers tell us they need us to do. You do not approve layout plans or plot plans for these?